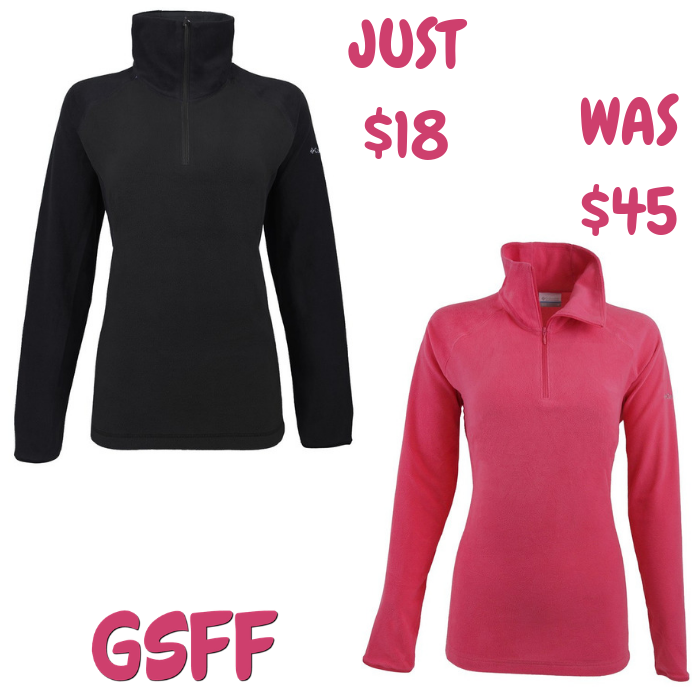 Women's Air Fleece Just $18! Down From $45! Shipped! You are here: Home / Great Deals / Christmas Deals / Women’s Air Fleece Just $18! Down From $45! Shipped! Women’s Air Fleece Just $18! Down From $45! Shipped! Head over to Proozy.com to score this Columbia Women’s Air Fleece for just $18 down from $45 when you use promo code PZY18 at checkout PLUS FREE shipping! A pure, clean fleece pullover that’s supremely layerable for cross-season versatility, the Arctic Air 1/2 Zip is outfitted with flattering princess seams and a roomy, high collar to keep out drafts.